TICKETS: $20 for Museum Members, $25 for non-members, $20 for Seniors, and $15 for students (with valid student ID). They can be purchase on-site at the Museum and are available through the Bickford Theatre website at www.morrismuseum.org/community-performances. The Hanover Wind Symphony will perform a special concert entitled And the Trumpets Shall Sound at the Morris Museum. The concert will feature the Hanover Wind Symphony’s trumpet section, and guest soloist, Michael R. Baker. The concert is being held in conjunction with the museum’s exhibition, Trumpets, Weird and Wonderful: Treasures from the National Music Museum, which is on view through Sunday, March 17, 2019. Wind bands like the Hanover Wind Symphony (HWS) are versatile and flexible ensembles with a wonderful repertoire of original wind literature written for them. In addition to Matthew Paterno, Kurt Zimmermann, the Associate Music Director, will also conduct a portion of the program. Michael R. Baker (left), the trumpet/cornet soloist for this concert, began his studies on the cornet at The Salvation Army with Derek Smith at the age of nine. He holds both Bachelor’s and Master’s Degrees from the Juilliard School where he studied trumpet with Philip Smith, Mark Gould and Edward Treutel. 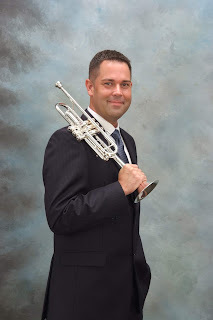 Besides his second trumpet position with the New Jersey Symphony Orchestra, he is a busy freelance musician in the New York area playing with the New York Philharmonic and the Metropolitan Opera. He has also played several shows on Broadway. Baker is also a member of the prestigious Brass Band of Battle Creek. He can be heard on many recordings of the New York Philharmonic, the New Jersey Symphony Orchestra, and both the Montclair Citadel Band and the New York Staff Band of The Salvation Army. Baker teaches trumpet at William Paterson University. One of only a small number of community-based adult wind bands in New Jersey, the Hanover Wind Symphony delights audiences of all ages by giving a contemporary twist to traditional favorites. The symphonic band is composed exclusively of woodwind, brass and percussion instruments, playing at a variety of venues in and around greater Morris County, NJ. When the group started playing together in 1985, there were 30 musicians. Now in its 34th season, the Hanover Wind Symphony has more than doubled in size. Its members are full-time professionals working outside the field of music and include accountants, attorneys, engineers, and corporate executives. A number of music educators also perform with the symphony as an outlet for their creative talents and an opportunity to refine their musical skills. The Hanover Wind Symphony is a non-profit organization fulfilling its mission – to bring “music to people and people to music.” Called the “hidden gem” by the Daily Record, the ensemble offers a bright future for music in our community. 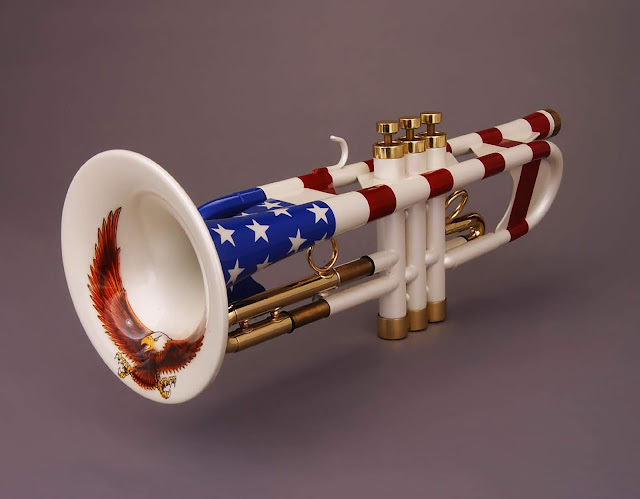 The Morris Museum in partnership with the National Music Museum (Vermillion, South Dakota) presents the exhibit Trumpets, Weird and Wonderful: Treasures from the National Music Museum — 44 fascinating instruments from five continents. Dating from the late 17th to the late 20th centuries, the instruments are on loan from the National Music Museum’s Joe R. and Joella F. Utley Collection of Brass Instruments, and most of them have never been on public exhibit. Trumpets, Weird, and Wonderful celebrates the rich audible and visual variety of musical instruments in which sound is generated by buzzing the lips, sometimes called brasswinds. Broadly defined, trumpets come in many different forms and sizes and can be made of many different materials: animal horn, bone, conch, wood, and metals. Horns and trumpets have been in use as signaling instruments since prehistoric times. They play a role in ceremony and religion in many cultures. For centuries they have had a leading function in the military and the hunt. They are not only musical instruments but also objects of artistic expression, often with hidden meaning. TICKETS: Ticket holders to And the Trumpets Shall Sound, can come to the Museum either before or after the concert to view the Trumpets, Weird and Wonderful exhibition for an additional $3 (payable on-site), and have access to the entire museum. Tickets may be purchased online at morrismuseum.org/community-performances, by phone at (973) 971-3706, or in person at the Morris Museum. The Morris Museum’s Bickford Theatre is located at 6 Normandy Heights Road in Morristown, NJ, and offers free parking and full accessibility. Box office hours for phone sales are Monday through Friday, 10:00 a.m. to 5:00 p.m. The Morris Museum is a Blue Star Museum, offering free museum admission to active duty military personnel and their families, from Memorial Day to Labor Day.